During the week of November 10th through the 17th, our team here at Paradise Dental will be traveling to La Romana, located in the Dominican Republic, so that we can provide our dental services to the residents of this area. 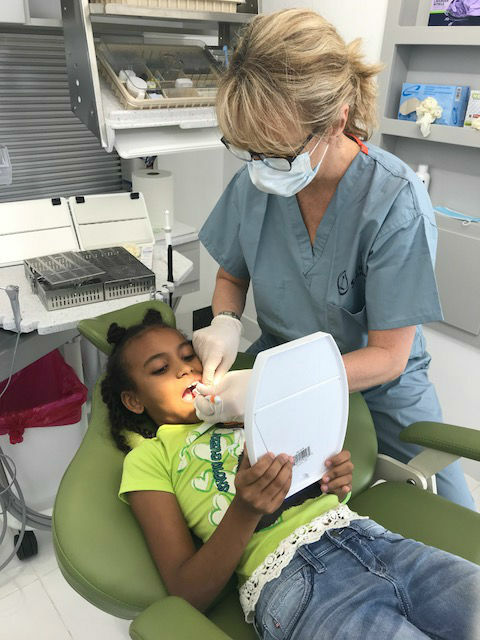 Partnering with World Mission Partners, our team at Paradise Dental discovered this program and knew that it was an important endeavor to take on, as many of the individuals in this area of the Dominican Republic are in an urgent need for dental care. Unfortunately, La Romana has a lack of the necessary dental care, for which we can help provide. We recognize that it is important to help in any way that we can. We want the people of La Romana to know that we care and will do anything in our power to get them the proper care that they need. Help Support Our Mission Trip! We need the support of our community to accomplish this mission. We are raising money to assist with the costs of this mission trip, including the dental supplies necessary for these procedures, as well as travel costs. With the unfortunate sanitary conditions, lack of healthcare, dental care, and food, the people of La Romana need our help. Our team strives for giving back, and this will be our greatest mission event to date. For more information on our Mission Trip, head over to our GoFundMe page, or contact us if you’d like to contribute. There are many ways that you can get involved, as all donations are appreciated and will be used to help the people of La Romana. We will be holding our Mission Mixer on May 2nd, and all proceeds will go towards this mission trip in November. We are currently accepting donation items to be raffled, so don’t be afraid to reach out!